Now that they are walking, toddlers are always wanting to experience new thinks to see and do. At CCDC we are there to guide and help them along the way. 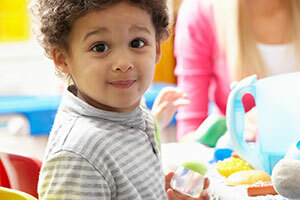 Children at this age are constantly learning through sensory experiences. At CCDC we offer plenty of learning opportunities that will heighten your child's communication, social and motor skills.